WordPress is one of the most efficient, popular platforms for fast websites. There are constant updates for making WordPress better. However, every person who decides to make a website needs to decide and make a choice between WordPress .com and org, domain name, hosting and theme. While other things affect website internally, the theme is what decides the website audience. 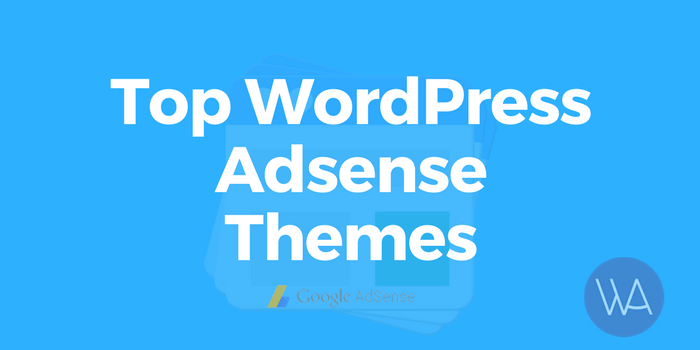 To help you with this we have put-up some of the budget-friendly and different types of Adsense themes for your Advertisement websites and blogging. If you are not running your website on an Adsense Friendly theme, then try to manually or automatically add Adsense to it. CTRSpace is one of the most effective multi-purpose WordPress Adsense theme with a design for fast and optimized search results. It is Adsense oriented WordPress theme to help you monetize your website in an easy and effective way. Responsive design and spacious templates help to put multiple ad banners and boost Adsense income. 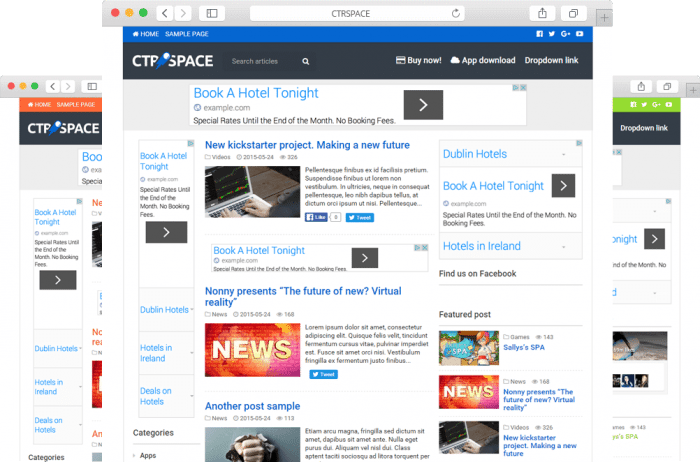 Other than great revenue and SEO friendly pages, CTRSpace also includes different layouts. 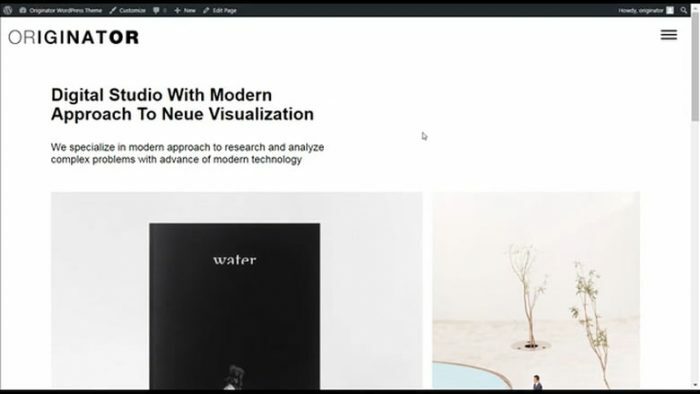 Unique layouts help the user select a design fit to their website. 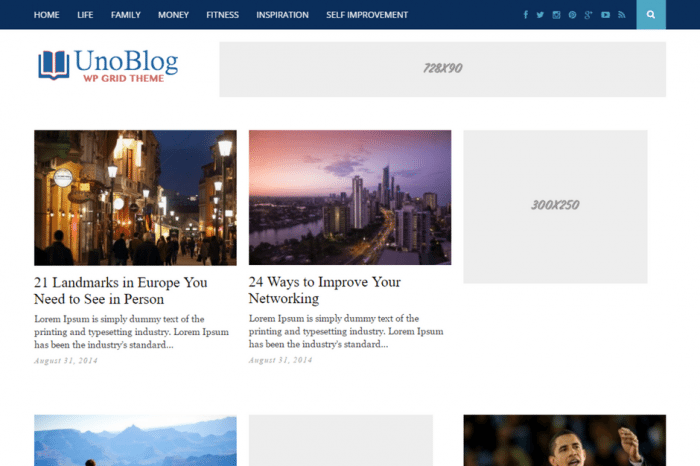 You can also customize your blog by changing the style and related elements. Unoblog is a clean theme with powerful features for making your WordPress website effective and fast. If you are looking for a theme with advertisement compatibility, then this is your shot. This theme is designed with quick elements for providing Ultra-fast access. Unoblog theme goes with almost all website types including news sites, business blogs and magazines. Being highly responsive, increase your visitors’ bandwidth. There is an optional side bar and creatively designed grid layout for providing fresh website design. Ad widgets and banners are optimized for Adsense performance for increasing your advertisement game! 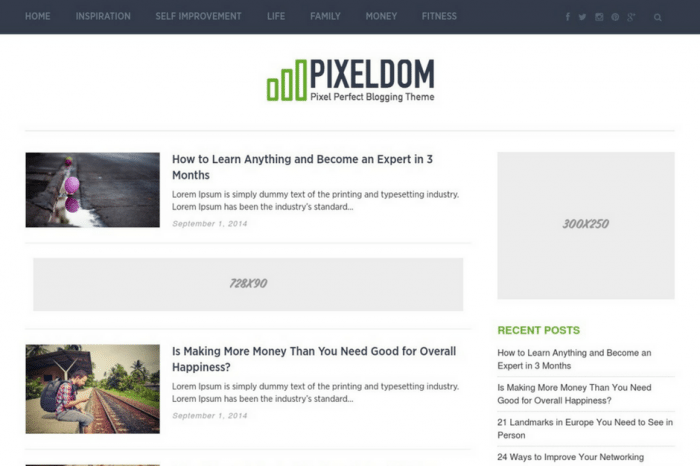 Pixeldom is another great Adsense theme in our round up post. Its clean, SEO optimized and loads super fast. This theme is developed for providing powerful grid layout and impressive design for converting more visitors. It has nice Click through rate and effective widgets. It is highly-optimized for faster working. The overall layout is wide and properly structured. It has attractive banners and widgets, Ad placement is easy and the theme is SEO friendly. It has lightning fast speed and has responsive CSS. This time we added more options for you. 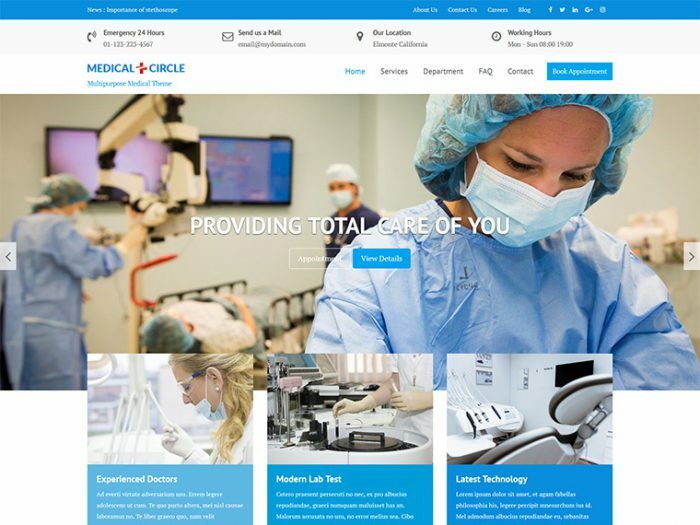 Medical circle is a responsive medicare theme. It is multi-purpose and has WooCommerce compatibility, so you can use it for other purposes as well. It has inbuilt sliders for image gallery and awesome customization options for creating different template designs. While you can use it for all website types, it is specifically designed for hospitals, clinics and doctor portfolios. 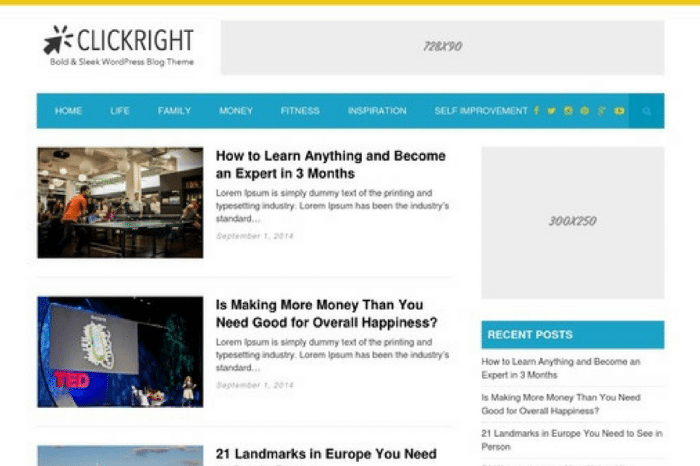 Clickright is a beautifully designed theme for boosting conversion rate and bring more clicks on your Adsense banners. Documentation and support goes handy with this theme. This theme is encoded with light elements for providing a solid and effective framework to the users. It is fast and smooth. This SEO optimized theme has a fast, responsive design. 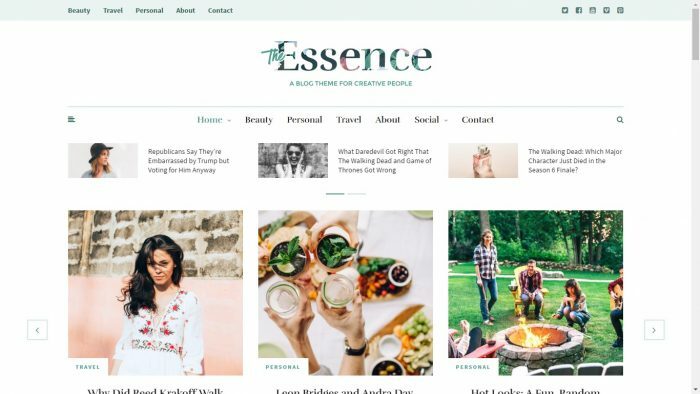 Essence is a multipurpose WordPress theme that goes handily with E-stores, magazines, online business and portfolio sites. Clean design and beautiful layout makes it a good fit for personal blogs as well. It has great browser compatibility and multiple blog layouts. This theme has quick customization elements to improve the user experience. You can easily customize widgets, homepage, style and more, without knowing coding. Originator is responsive, fast and works well for design blogs, agency websites and so forth. Clean design and fresh layout gives a modern look to website templates. You can easily customize the theme using customizer options. It works smoothly with WordPress and boosts the site speed. Originator is specifically optimized for search engine. Support is great and cross browser compatibility is present. WordPress Adsense themes are the best source to create niche websites for generating extra Adsense income, however, one needs very quality content to actually take benefit from the above themes. ThemeBounce is one of the best-renowned WordPress company that develops Adsense themes and rather than focusing on quantity, they focus on quality. The above themes will not only cater your needs but also help you to add some more value to your website. If you feel, we have missed some important WordPress Adsense Theme, then please let us know in the comments section below and we will add it while revising the article. Just come across to this article which is good but i think peoples love free stuff and above all themes are paid. As i was also looking free theme for adsense purpose. But still a very helpful article. keep good work! Thanks for taking out the time and comment. I will soon make a list of Free Adsense Themes and update you.